1. Family Group Sheet by Betty Ann (MATTHIESEN) COGLIATI and her maternal grandmother, Maude Irene (THOMPSON) ROSE, whose mother died young so was raised by her maternal grandmother, the above Elizabeth LaVernia (WILLIAMS) McCRAY. 2a. 1820 Census: Prince Edward Co., VA (records extracted by Mrs. Thomas W. Botts, 1205 University Ave., Columbia, MO, and supplied courtesy of Art Daly). The following are listed as heads-of-households: John B. ROYAL, Littleberry ROYAL, William WILLIAMS, John R. WILLIAMS, Theodore WILLIAMS, and Thomas D. WILLIAMS. 2b. 1820 U.S. Census Index/Images (online at Ancestry.com): Royal not enumerated, as expected. 1 female slave 9 or under 1830-1840 = ? Listed two lines below Benjamin THAXTON and four lines above William WYATT. Listed two households from Delilah's sister, Malinda GAULDING, and her husband, Benjamin D. THAXTON. There are only six slaveowners in District 56; Benjamin THAXTON was one of the other five. Delila " 68 F "
Virginia " 15 F "
The ages of both Royal and Delilah are inflated: he should be 60 and she 61. There were only 12 slaveholders in the county; Royal WILLIAMS and Benjamin THAXTON were two of them. Listed next to daughter, Macedonia (WILLIAMS) McCRAY, and eight households from daughter, Amanda (WILLIAMS) THOMPSON. *A five pointed star pointing downwards (symbol of the Order of the Eastern Star). Royal Williams and Delila his wife of Buckingham Co VA convey to Robert Venable, Nath'l Venable, James Venable, and Joseph Venable for $85.00 a tract of land in Prince Edward Co., containing 42 1/2 acres, adj. lands of Nath'l Venable, on Appomattox River and being this same land conveyed to said Williams by the Sheriff of Prince Edward Co. being sold for delinquent taxes, formerly the property of Freeman D. Gaulding. This deed was acknowledged in Buckingham County on Jan 12, 1837. ....... The Buckingham Court records were all burned in 1868 and there is no way of tracing Royal Williams through any records except the property tax papers which date back to about 1784. A copy of the property tax papers are filed in the State Library at Richmond, VA.
As six of the grantees are known to be kin, the rest may be as well; and we do know that Priscilla McCRAY married a BOSLEY. 13. Emails from William Gaulding, Art Daly, Lawrence May, Doreen McGowan, Carol Mahoney. 14. Broderbund. World Family Trees. Vol. 1, Pedigrees #1943 and #2923, submitted by Thomas A. Gauldin. 15. J.M. Guinn. 1904. A History of the State of California and Biographical Record of Coast Counties, California. Chapman Publ. Co., Chicago. See biographical sketch of William Lafayette McCRAY, son of William Henry McCRAY and Macedonia Alice WILLIAMS. 16. 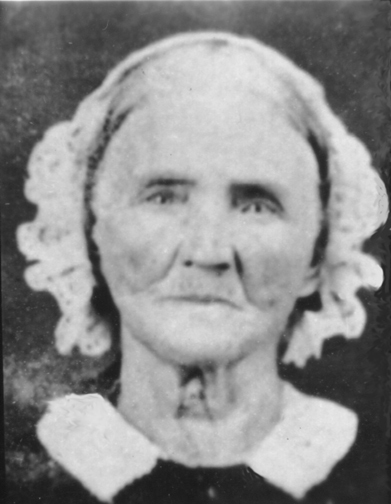 Mrs. Mary Casteel Linn. [n.d.] Notes on Royal Williams from the History of Mercer County (1888). I'm still trying to find out what Clues is and to get a copy of the original article. 18. See article on "Old Middleburg or Middlebury" by Doris Thompson (courtesy of Art Daly). 19. Messages posted to the Williams Family Genealogy Forum (online at GenForum.com).